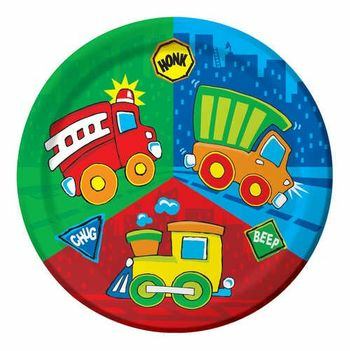 Construction Pals 9" Paper Plates 8Ct. Construction Pals Lunch Napkins 16ct. Construction Pals Beverage Napkins 16ct. Construction Pals Happy Birthday Blowouts 6ct. Construction Pals Happy Birthday Hats 6ct.